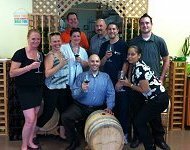 Wine Tours, Wine Making Parties and Wine Tasting! Click HERE for more info. Visit our BLOG for all current & upcoming Events & Sales!